If a child lives with encouragement, they learn to be confident. If a child lives with approval, they learn to like theirself. 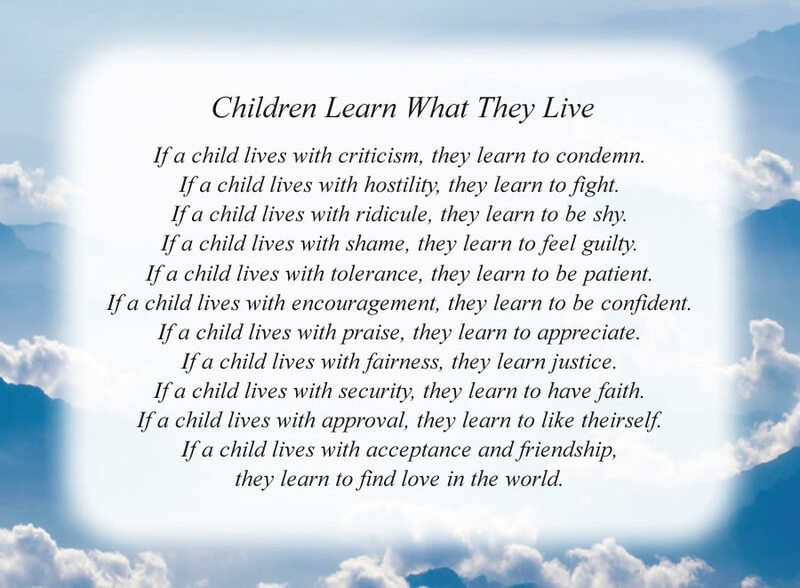 The poem, Children Learn What They Live, is free and printable by opening or downloading using one of the three links below.